The Climate Prediction Center’s (CPC) global rainfall data, 1979 – present, 50 km resolution, is one of the few high-quality, long-term, observation-based, daily rainfall products available for free. Although raw data is available at CPC’s ftp site, obtaining and processing the data is not easy since there are over 12000 files, and formats and names of these files have changed over time. 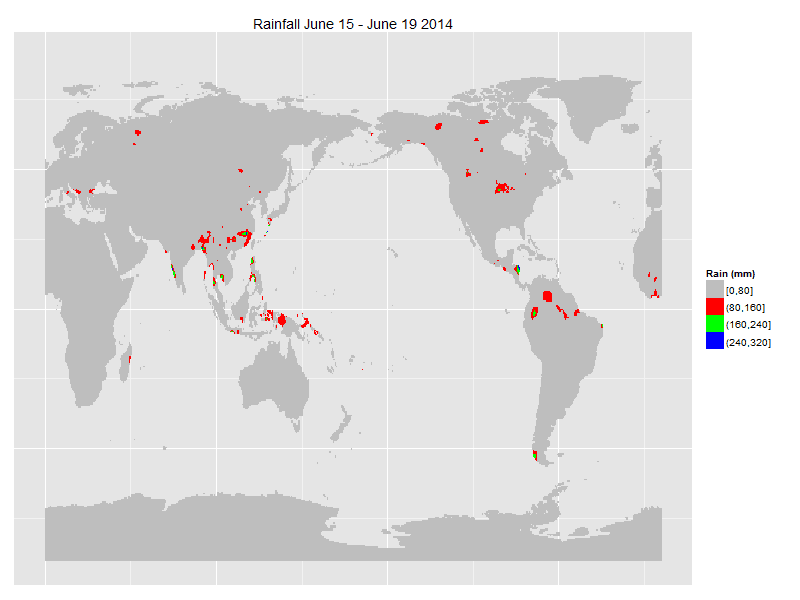 The latest version of the raincpc package provides functionality to download, process and visualize over 35 years of global daily rainfall data from CPC. 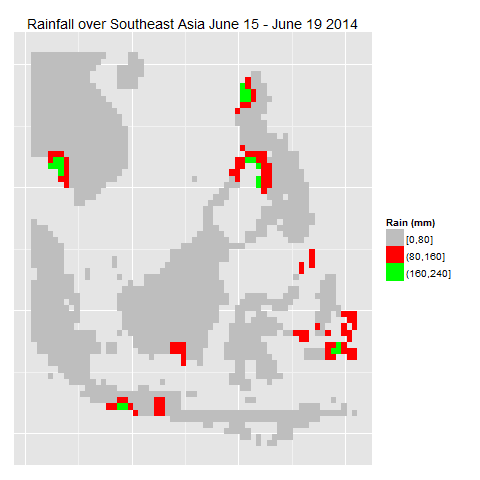 The vignette demonstrates the use of this package, including the extraction and display of regional rainfall data. Following are some graphics from the raincpc vignette. To leave a comment for the author, please follow the link and comment on their blog: Nine Lives.